Although Wyoming has fewer residents than any other U.S. state, there are still commercial real estate listings in this state to consider. According to the 2010 US Census, about 563,626 people live in Wyoming. Wyoming also has the distinction of being the state with the 2nd lowest population density. Since about 91% of state is �rural,� Wyoming commercial real estate listings won't be found throughout the state. 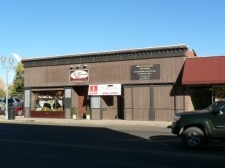 If you are considering investment property and commercial realty, you will want to consider the state's capital Cheyenne. This city has a population of about 60,000. Other populous areas in Wyoming include Casper, and Laramie. The gross state product is in the neighborhood of $27.4 billion. Much of the economy is based on mineral extraction. Tourism also is essential to Wyoming's economy and generates over $2 billion per year. Agricultural endeavors also are a substantial part of the state's economy, and rural commercial land is dedicated to beef, hay, beets, grain and wool. Over 24,000 sq ft of heated warehouse shell which includes 880 sq ft of office space on 2. 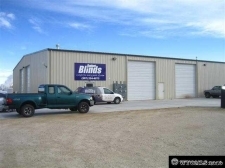 3,500 Sqft Storage building on almost 1 acre. 7 separate doors for any type of use. 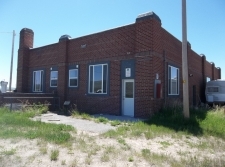 Fantastic Commercial Building! 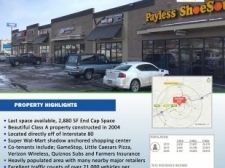 5,000 sf unit available for lease for $3,500 per month NNN.